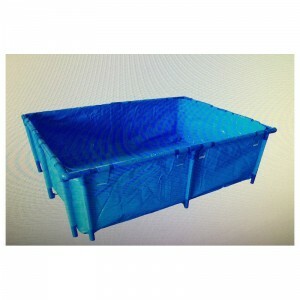 This Rectangle Koi Pond Show Tank portable holding tank features easy assembly and disassemble. This free standing tank is ideal for shows, quarantine or temporary quarters. The material is extremely strong and completely fish friendly. Highly tear resistant.